So, you want to move to Bushwick. That is an interesting decision and a good one, for that matter. Bushwick is a working-class neighborhood in the north part of Brooklyn. If you want to experience a new and interesting culture this is the right neighborhood for you. Bushwick proud itself with the highest Hispanic population in Brooklyn. The Dominican and Puerto Rican communities here are very developed. Rents are not so high so you will be happy to hear that here you can get affordable housing. If you are a nature lover you will find your haven here. 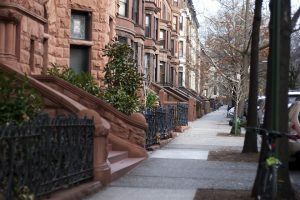 There are eight parks including Bushwick Park and Pool and Green Central Knoll Park. This is a perfect neighborhood for kids and families. So if you are planning to move here, hire your reliable Bushwick Movers and you can be on your way. Let movers in Brooklyn conduct your perfect move. We have many years of experience in the moving industry. 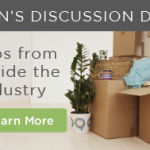 We are talking about both residential and commercial moving industry. All moves are different, but similar in a way. We have experience in various kinds of issues and situations that can occur during a move. This will make it easy for us to deal with unexpected and tricky situations. We have experience in moving both apartments and houses. So we have got you covered. When you are looking for a reliable company always check their years of experience, visit their office to check if they have a fixed address. Bushwick Movers possess all of the above. This is how you know that we are not scammers. 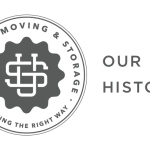 We have been in the moving industry for a long time. Moreover, we have long-term employees who have been working for us for a very long time. This just means that they are an experienced and knowledgeable team. Since we are local Bushwick Movers we have an important advantage. We know the area like the palm of our hand and we can find any location very quickly and efficiently. We know about all of the truck restrictions and we will avoid these streets. It is easy for us to find good parking spots and we are also informed about any potential parking issues. When you decide to move you will want to know what to expect when it comes to price. When we send our estimator over he will conduct in a professional manner. He is your first contact with our company and we are sure that he is going to leave a great first impression. He is going to ask you all of the important questions and provide you with all of the necessary information. This in-person estimate is free and much better than the one over the phone. It goes without saying that customer references and reviews show the real face of the company. 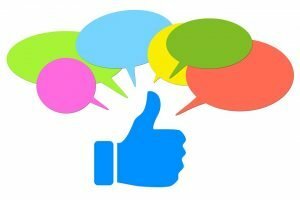 You can read positive comments of our customers on our website. We have a history of successful collaboration with our clients. They were always satisfied with our moving services. Their positive comments are a proof of this. We offer an array of services here at Bushwick Movers. First of all, you can expect packing and unpacking services. We come with a variety of packing supplies. Packing and unpacking is a basic service we offer as professional movers. Packing and unpacking are time-consuming and needs a lot of energy. If you don’t do it right something might get damaged or broken. So, leave it to us to do it in a systematic and efficient way. Dissasembling and reassembling of electronics and furniture can get difficult. If you are not an experienced professional you probably shouldn’t do it. We will do it in half of the time you might need. We also carry all of the necessary equipment needed to do this. So if you want to save time and avoid stress let us do it for you. If you have heavy and bulky furniture, lifting and moving it can be a drag. You could get injured. Moreover, you could damage your furniture. Not to mention moving special items, like a piano or that antique item. 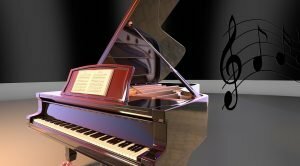 You will avoid piano moving mistakes and spare yourself a lot of stress if you just hire us. We at Bushwick Movers are professionals and we have experience in moving your special and heavy items. Maneuvering can be an issue, especially if you have a narrow doorway or many flights of stairs. We know exactly how to get your bulky and heavy furniture and belongings up or down the stairs and we will navigate your items as a team and everything will go smoothly. We come with a spacious moving truck and we will safely and efficiently load and move all of your belongings. Loading items in a truck means we will have to use special equipment, like a ramp or dolly. There are also straps that will help secure all of the items in the truck. You probably don’t know that, but there is a special order in which items should be loaded in a moving truck. As professionals, we know all of these little but important tricks. We can even help you find a cleaning company to take care of your home. Moreover, we can help you find a great storage unit. So we are sure that all of this information will convince you to hire your excellent Bushwick Movers.